This time we head to a tiny, yet is one of the world’s most densely populated areas and a leading international financial centre located in China’s south coast – Hong Kong 香港 – my hometown! Perhaps I’m a bit biased but to me Hong Kong is a legendary city, from it’s origin as a fishing town to a global metropolitan today. A unique city where East meets West, influenced under British rule while maintaining Chinese traditions, Hong Kong has long served as a gateway into greater China. Plenty of travel brochures on Hong Kong you pick up features the stunning Victoria Harbour and it’s admiring this world-famous harbour that’s a must do for every visitor. Victoria Harbour is situated between Hong Kong Island and the Kowloon Peninsula and personally I prefer the view towards Hong Kong Island, looking into the glittering wall of skyscrapers. Now there’s heaps of vantage points to see the harbour such as along the Avenue of Stars or the cheapest way is to take the Star Ferry but really I think this amazing view is best accompanied by fine food. 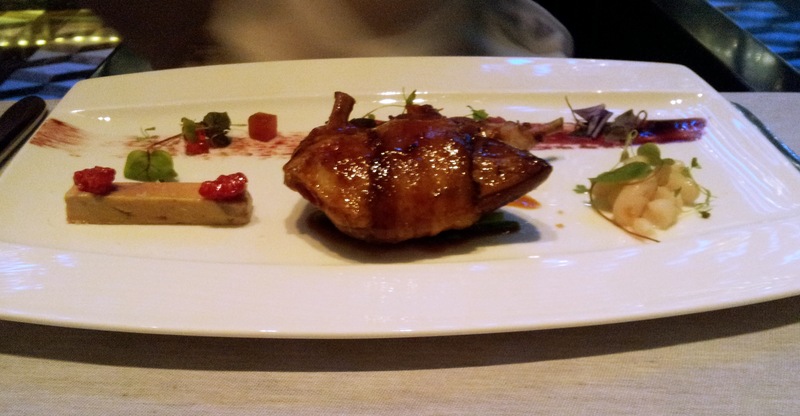 So let me introduce three restaurants offering three different cuisines that matches the view. The day and night time view of the harbour is beautiful in its own respect so if you have time be sure to check out both, otherwise my pick is the night view. 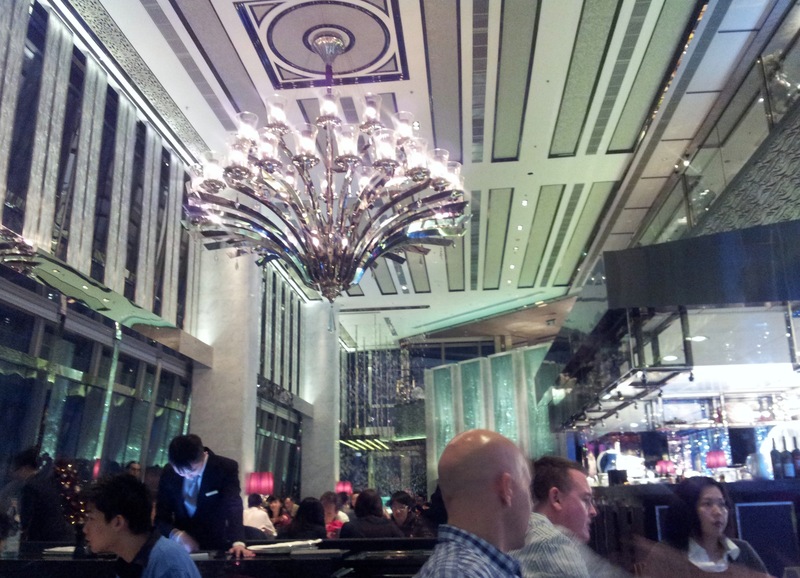 Located on the 28th floor of the One Peking Road Tower in Tsim Sha Tsui, Hutong is one of the hottest tables in town. 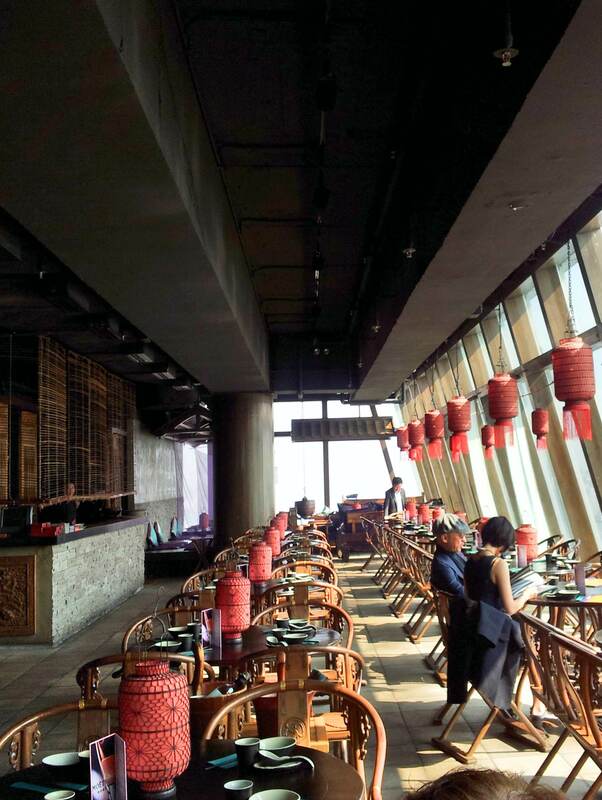 Offering a sensational selection of Chinese dishes such as scallops tossed with pomelo segments, Zhang Cha Ya (Sichuan style smoked duck) to Shanghai style honey-glazed ham, all served with a panoramic Hong Kong Island skyline. 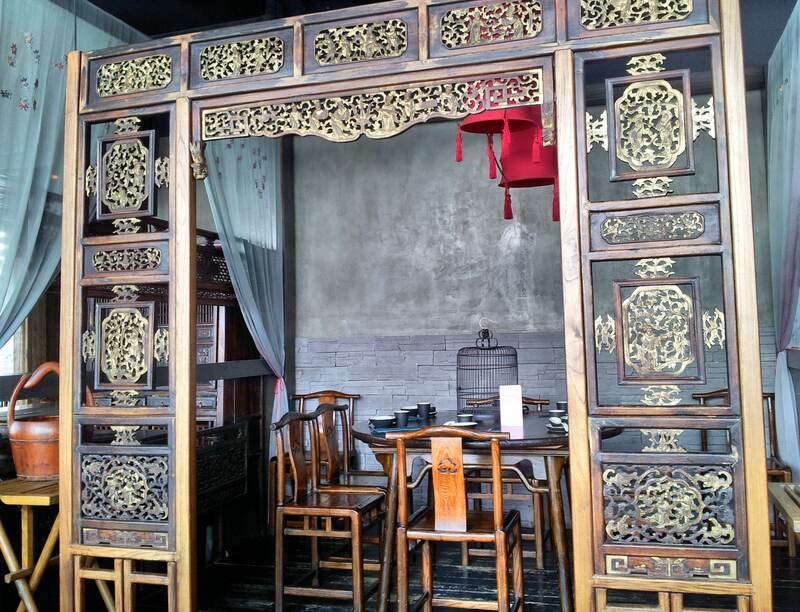 And if that wasn’t enough, to top it off, Hutong’s impressive traditional Chinese decor is sure to impress. I wouldn’t say it’s the best Chinese food I’ve had but the overall package undoubtedly warrants a visit. 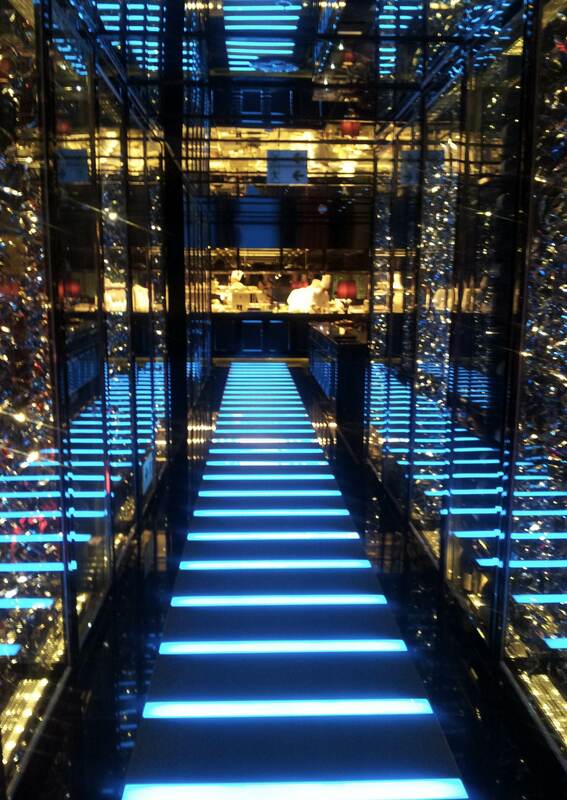 Located above Hutong occupying the penthouse levels of One Peking Road Tower and operated by the same aqua restaurant group, aqua tokyo, aqua roma and aqua spirit is a trendy restaurant and bar. Like Hong Kong itself, the restaurant menu brings together the East and the West delivering innovative Japanese dishes and tasty Italian pastas. If there’s no stomach space for a proper dinner, visitors can stop by the bar for a drink and take in the superb views. Honestly though, it’s better to stick with the Japanese dishes and head over to our next restaurant if you’re after Italian. Led by two-star Michelin chef Pino Lavarra, Tosca offers a dramatic southern Italian dining experience on top of one of the world’s tallest hotels – the Ritz Carlton Hong Kong – which occupies levels 102-118 in Hong Kong’s tallest tower, the International Commerce Centre. 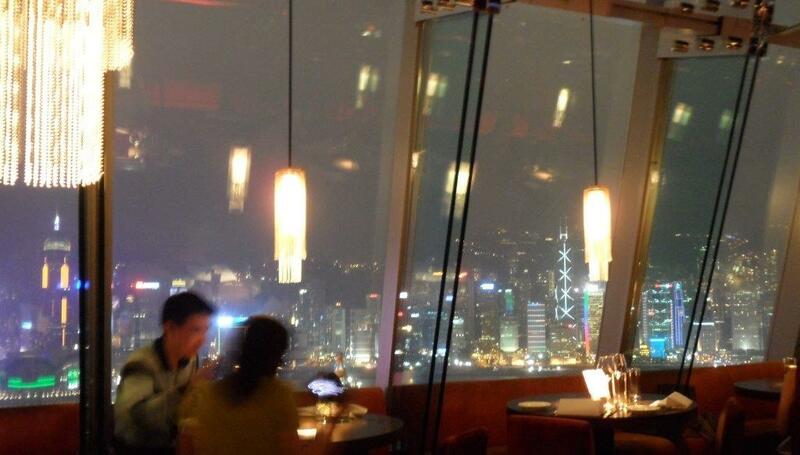 Needless to say the view from this height of the Victoria Harbour and surrounds is breathtaking. So is the majestic decor and meticulous service. The contemporary display of food tantalises your taste buds coupled with a warm and fine ambience, dining at Tosca is an experience to remember. Another plus for dining at night is that you can see A Symphony of Lights – an orchestration of music, laser and multimedia light show that runs for around 10 mins every night highlighting the beauty of Hong Kong’s skyline. 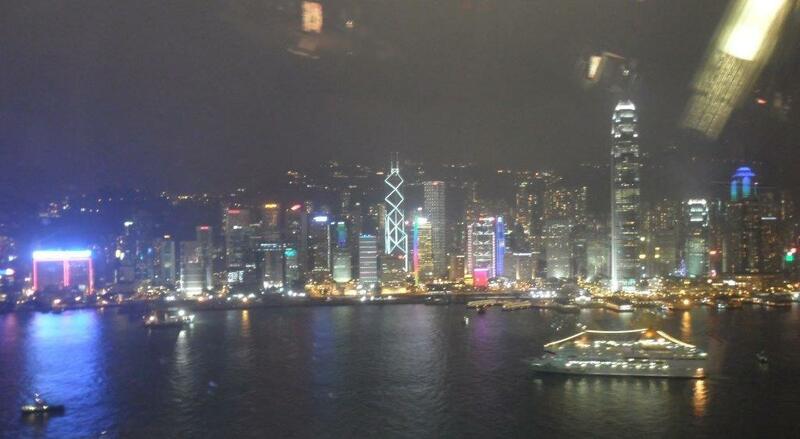 So next time you’re in Hong Kong, make sure you make time to fully enjoy one of the world’s most famous harbours.